Casey completed her 200 hr training at Back Bay Yoga (Now Yogaworks Boston) in 2015 with her teachers Lynn Begier, Ryan Cunningham and Renee LeBlanc. She began teaching while working her corporate job in the city. Recognizing that yoga was a strong and significant passion of hers, not only as a lifestyle but as a career, she left her corporate position in 2017 to pursue teaching full time. Since then she has continued her education through self study, workshops, and completing an advanced training for teachers with Ame Wren. In her teaching, Casey seeks to create a safe space for growth, encouraging yogis to move with curiosity and interest. There is no one size fits all practice; To honor this you will be sure to find many options and modifications throughout her classes. 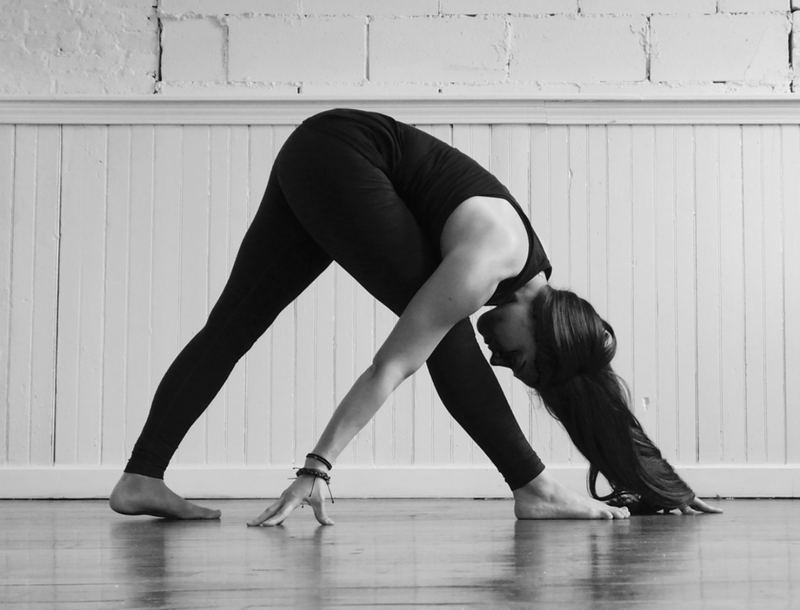 With an interest in structure and anatomy, her sequences are well thought out in order to open the body strategically while also leading students through mindful transitions, a playful flow and opportunities to try something new! On the mat we learn how to slow down, reconnect with our bodies, and shift perspective. With dedication and practice we can use these tools in our lives to create a greater sense of contentment and ease. Casey teaches to share this gift and help others to feel better in the life they lead. She wants her students to be an active participant in their journey towards health and happiness. Right now Casey is exploring the field of Physical Therapy as an addition to her current offering. She believes yoga should be a healing practice; One that teaches you about your body and creates an interest in personal health. By combining yoga therapy with the insight and strategy that a PTA program has to offer she believes she can continue to educate and inspire her students to establish a practice that can support a happy and healthy life. Casey is also inspired by natural remedies and aspires to live in sync with mother earth. She mixes her own essential oil rollers and massage oils to use both for her personal yoga practice and as a healing remedy for anxiety, congestion, fatigue and other ailments. She continues to explore ways to incorporate essential oils and other natural products into her home and lifestyle.